Our home staging team had a wonderful opportunity to partner with a local Real Estate agent and home owner that were in need of home staging on a budget. Redesign + More had to create a house that would appeal to the general public - buyers. The homeowner had no furnishings so we had to bring in 3 rooms of rental furniture and a variety of accessories. Our real estate staging has helped reduce the reason buyers shouldn't buy the house to hearing why they should buy the house. Thanks for another great article tonight. Best luck to you. What a difference your staging team has made in the way this home shows! Best wishes for a fast sale! Eric Thank you for your comment on my Real Estate Staging in Charlotte NC Blog. Thank you I appreciate your positive comment on home staging. Good Luck ...I wish you more long and happy partnerships ... may every house sell as quickly as it was staged! Thank you for you comment on Real Estate Staging in Charlotte NC. with a positive outcome with all involved. 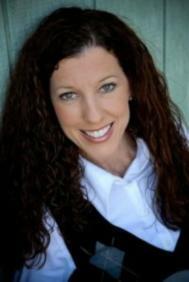 Hi Peggy - Home Staging - Charlotte NC - Stage to Sell Real Estate sounds like you are the expert in your area! I enjoyed your photos. One of the wonders of the world what 2 red pillows can do for not so exiting couch! Thank you Virginia for the feedback. That is so true the red pillows really added to the sofa. Its amazing when we are Home staging - Charlotte NC to see the difference that color can bring to a room and home. Thanks for a thought provoking post on staging - much appreciated by both of us!